Unity Stamp Company: New Stamp of the Week - Yet to Be! New Stamp of the Week - Yet to Be! It's finally Spring where I live, and the flowers are starting to bloom - everything is going to look beautiful. 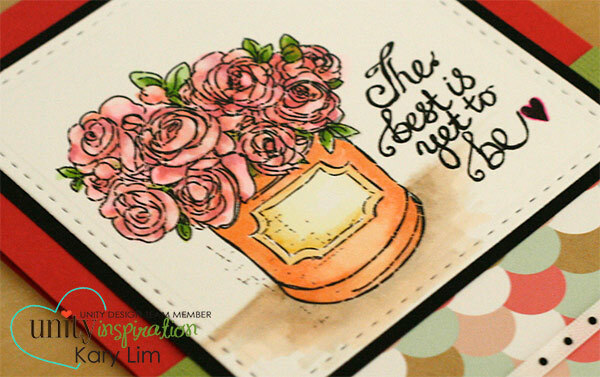 The season provided the inspiration for this card with the new Stamp of the Week - Yet to Be. 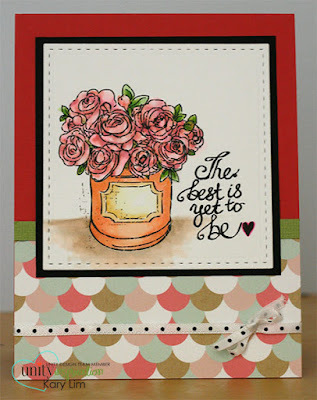 I love the gorgeous roses image and the sentiment that comes in the set. For just $5.79 per week (international - $7.79), this set could be delivered to your doorstep - and yes, the price does include shipping! What a great value!! Read all about it here.